Sunday 23rd January Southside Wheely Wheelers club cyclists met at 12noon instead of 9.30am due to the risk of icy roads earlier in the morning. The day was very cold, freezing fog was slow to lift but road conditions were perfect on main roads to enjoy safe cycling. Club photo was taken before enthusiastic cyclists set off cycling in two lines working as a group. Cyclists cycled in one steady group enjoying the conversation as they cycled within themselves at a comfortable cycling pace. It was also a good day to learn the skills of having a puncture. Two cyclists had punctures but club cyclists were ready to give a helping hand to get them back on the road cycling again to complete a 60kms Sunday training cycle. Out cycling were Daithi Creedon, Gerard Finn, Owen Tobin, Michelle Gammell, Ber Gammell, Sean Burchill, Patrick O’Donnell, Paul Finn, Tadhg Murphy, Paul Gammell, Paul Ahern, Jerry Ryan, Liam Carroll, Liam Kennedy, Stephen Finn and Brendan Houlihan. Well done to all club cyclists for getting on your bikes on such a cold day to have a wheely good Sunday cycle. The Wednesday Night Light Cycle continues next Wednesday at 7pm, meet at usual club meeting place at the Castle car park in Kilmallock. Sunday 16th January Training cycle 110kms and 50kms. One group of cyclists met at 8.30am and arrived back to join the 9.30am group. All cyclists were catered for this week with a longer cycle of over 110kms and a shorter cycle of 50kms, both at a controlled enjoyable pace. there is nothing better then cycling on a Sunday morning in glorious sunshine to make you feel healthy and alive. Out cycling were Daithi Creedon, Stephen Finn, Brendan Houlihan, Owen Tobin, Shane O’Brien, Michael Gammell, Tadhg Murphy, Paul Gammell, Jerry Ryan, Liam Carroll and Stephen O’Meara. Next Sunday a Cycling Ireland Coach will join us on our training cycle and will give coaching and advice which will go a long way to improve our cycling skills. See Wednesday Night Light Cycle Page now updated………..
Southside Wheely Wheelers Wednesday Night Light Cycle restarts this Wednesday evening 12th January at 7pm, all cyclists meet at usual meeting place the Castle Car Park Kilmallock. All cyclists require a front and rear light, a hi-viz vest and bright clothing. Be safe, be seen and enjoy night cycling. Southside Wheely Wheelers present a Cycling Ireland coaching evening on Tuesday 18th January at 7pm sharp in the Deebert Hotel Kilmallock. Cycling Ireland coaching will start with a presentaion of basic cycling skills and will continue on our weekly club Sunday training spins. All club cyclists are requested to attend. 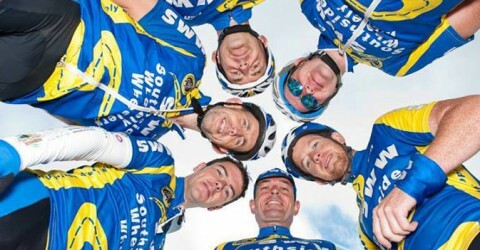 Southside Wheely Wheelers cycling club are committed to developing cycling and this training by a qualified Cycling Ireland coach is the first step to improving your cycling skills and will help to make your cycling experience more enjoyable to achieve your cycling goals during 2011. Sunday cycling restarts next Sunday 16th January at 9.30am, all cyclists meet at usual meeting place the Castle Car Park Kilmallock. Southside Wheely Wheelers cater for all cyclists and ensure you will have a wheely great cycling experience, we cater for leisure cycling for all ages and ability, beginners and improvers with controlled speed and low mileage groups as we will cycle at your speed for an enjoyable cycle. If you want to start cycling to get fit and healthy through cycling, loose weight or stop smoking we can help change your life through cycling.